We have more than ten years’ experience in real estate in Turkey, helping hundreds of people find their dream home in the sun. For peace of mind for many nationals, we are a UK registered firm with long-standing involvement and connections in Turkey. 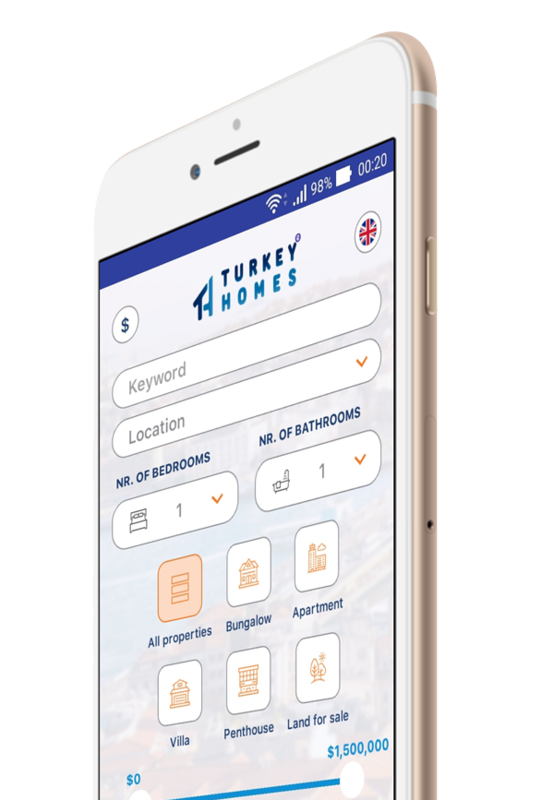 Talk to us about any aspect of your home-buying journey and we can offer advice on many areas from finding your Turkish home through to the best eateries in your locale. The combination of our knowledge about the property market combined with our understanding of local Turkish lifestyles helps us to provide you with the very best properties, whatever your budget. Customer care is as important to us as it is to you and we make sure we offer the very best throughout the buying process and after completion. Who can buy in Turkey? In recent years, the Turkish government has opened up the possibility to of buying property in Turkey to a host of new nationalities with the extension of reciprocity laws. Nationals from GCC and other countries such as Azerbaijan, Iraq, Iran and Iran, can now purchase a property. Please talk to us about the specifics of this law and about where you can buy and what quantity. Of course, EU national were already able to buy property in Turkey, with the market being especially popular with Brits, Germans, Scandinavians and Belgians. How can I finance my property? The simplest way if you need a mortgage to buy your Turkish property is to raise the money against your own home. Mortgages in Turkey are now available to all EU residents but are still at an early stage of development. We can offer you financial assistance, but it is important to remember that you need your finances in place before you make an offer on a Turkish property. Should I use a lawyer in buying a Turkish home? Although it is not a compulsory requirement we strongly advise you to use a lawyer. Typical costs will be in the region of between £500 to £1,000 and additionally you will need to add an estimated further £1,500 for taxes and fees. We can recommend lawyers to you and advise you get quotes from a few to compare prices and services. How long does the Turkey property buying process take? The process normally takes between eight to 12 weeks and once this has been completed, you can take possession of your property. It can take longer to receive the final Freehold Title Deeds (Tapu). Should I make a will in Turkey? Your UK will is legal in Turkey so once you have completed on your Turkish property, you should update your own will if you are a UK national. However, some people also decide to make a will in Turkey for added peace of mind, which your lawyer can help you with. How do I buy off-plan? Buying off-plan in Turkey is very similar to the UK or any other European country. The property crash in Spain and oversupply of properties has caused buyers to worry about if the property will be completed. At Turkey Homes, we only work with trusted builders with long-standing reputations to ensure complete peace of mind for our buyers. What is the tax situation when buying Turkish property? If you sell your Turkish Property within the first five years there is a 15% sliding scale property capital gains tax due on any profit. After this time, it is capital gains free. Any tax paid to the Turkish government will be offset in the UK due to the Reciprocal Taxation agreement between Turkey and the UK. What can come with me to my new Turkey home? You can bring your pets to Turkey providing you have the correct insurance and a pet passport. You can also bring your car although it is an expensive procedure. How long can I stay in Turkey? Owners of property are given an automatic renewable year long visa in Turkey and eventually permanent residence after five years. If you are not a property owner, you can stay for a maximum of three months in Turkey with a multi-entry-tourist-visa, that you will need to apply to online before travel. If you are planning to stay longer or want to connect a telephone or buy a car, you need to apply for a Residence Permit within one month of first entering the country. This can be issued for a period of one to five years.